Increased red tide concentrations were observed at multiple locations in Pinellas, Manatee, Sarasota and Charlotte counties relative to last week, according to FWC's red tide status report Friday. High concentrations were observed in all those counties plus Lee. 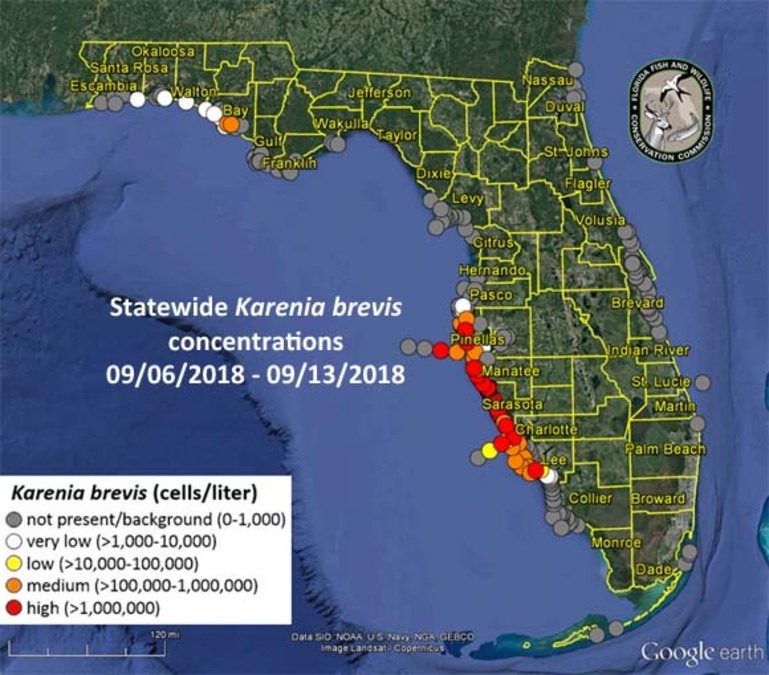 A patchy bloom of K. brevis was also observed in northwest Florida for the first time this week. 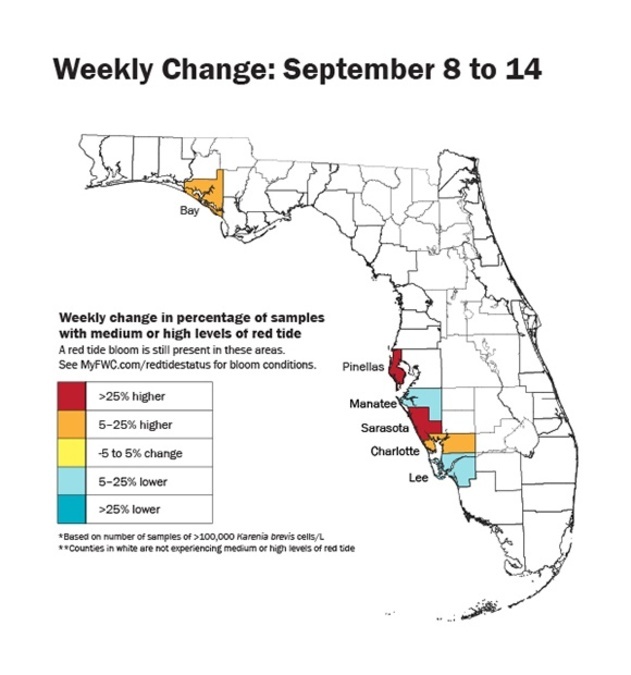 Decreased concentrations were observed in southern Lee and Collier counties. In Southwest Florida, reports of fish kills were received for multiple locations in and/or offshore of Pinellas, Manatee, Sarasota, Charlotte and Lee counties. Respiratory irritation was reported over the past week in Pinellas, Manatee, Sarasota, and Lee counties. Forecasts for Pinellas to northern Monroe counties predict net southern movement of surface waters and net southeastern transport of subsurface waters over the next three days for most areas. For the full report, click here.